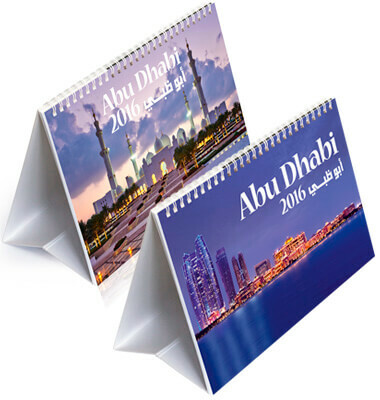 Enjoy 12 striking images of the UAE’s unique capital city in a handy desk calendar. Abu Dhabi's space-age architecture, such as that of the Yas Viceroy, sits side by side with the Arabian opulence of the Sheikh Zayed Grand Mosque. Traditional wind towers are given modern interpretations and glittering skyscrapers are reflected in the calm waters of the Gulf. Stretching away from the metropolis is the endless, timeless desert, where the secrets of Abu Dhabi’s rich history are found.